Would you give up your high-paying job and comfortable personal life to drive ten thousand kilometers across India? Just for fun! Three twenty-somethings dare to do just that! While the two guys take turns to drive, the girl gives voice-over as they record their entire journey on a handycam. Ab, Sasha and Unnati are ordinary youngsters, rendered special by the feat they accomplish. As they recount their adventures, I crave to live their journey all the more. They look at each other with a glint in their eyes, as if refurbishing those memories, as they narrate their spooky time at Bhangarh Fort, strange escapades at Wagah Border and Sundarbans, car breakdowns, wild animals, near-death experiences and highway robbers! It's nothing less than crazy. I doubted if I'd ever have the gumption to create such experiences. So I did the next best thing - I penned a book about them, and their roadtrip. 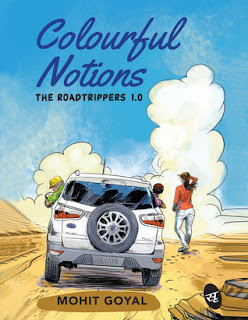 Colorful Notions is a journey of three young hearts on the Indian terrain and into the inner recesses of their souls, giving a new perspective to relationships, love and life. Mohit Goyal holds his Master's degree from Cranfield University, England. A successful entrepreneur for past 11-years; he is currently heading an international logistics conglomerate with presence in several Asian countries. He resides in New Delhi. Been acknowledged and awarded for many of his short stories in past; he conceived this idea of 'The RoadTrippers Series' to combine his love for travel, food and philosophy. This book seems like the answer to a lot of questions youngsters these days are plagued with. We all want to escape from our routine and follow our calling. Sometimes it also happens that just want to escape and in that process find our calling. This book is about such escapism. Revolving around three friends and their quest to find the deeper meaning of life, this book takes you on a whirlwind tour of a lot of places in India. While they are travelling the meet different sets of people, experience life first hand and hence learn what life is all about. What works for me - The plot is excellent and the narrative lucid. It is an enjoyable read and quite pacy in terms of the plot as it makes you keep turning the pages till you reach the end. I love the way the characters have been shaped up in the story, and with that I mean not only the main characters but also the small ones who play a very minor yet important role in the whole story. What doesn't work for me - The poor editing of the book is a huge dampener especially when you reading something which is pacy and thrilling. Secondly, somehow despite the attempts of the author somewhere this story remains of the three people and their lives. There is not much justice done to the places where they have been in terms of their descriptions at all. Over all a decent attempt for a debut novel, makes me want to look forward to the next parts. Would recommend this as a one time read for people who looking for some serious answers themselves in their lives. 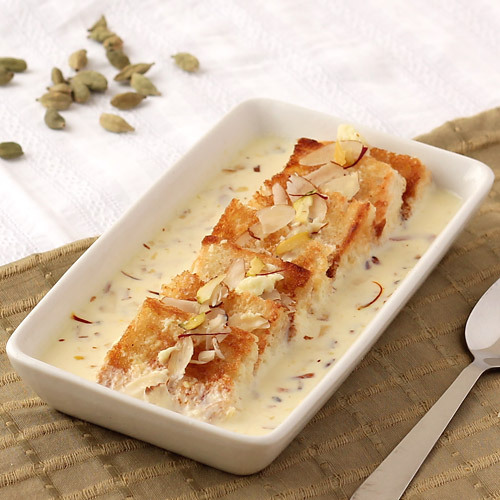 This book is like Shahi Tukda - a concoction of various flavours with rich and creamy bites!